Car Steering Wheel Mushroom Fits Easily and Securely. Car steering wheel knob (mushroom type). Clamps easily and securely to car steering wheel even those with air bags to assist turning of steering wheel. It can be transferred from car to car, by clamping easily onto steering wheel and provides easier steering control for increased maneuverability. 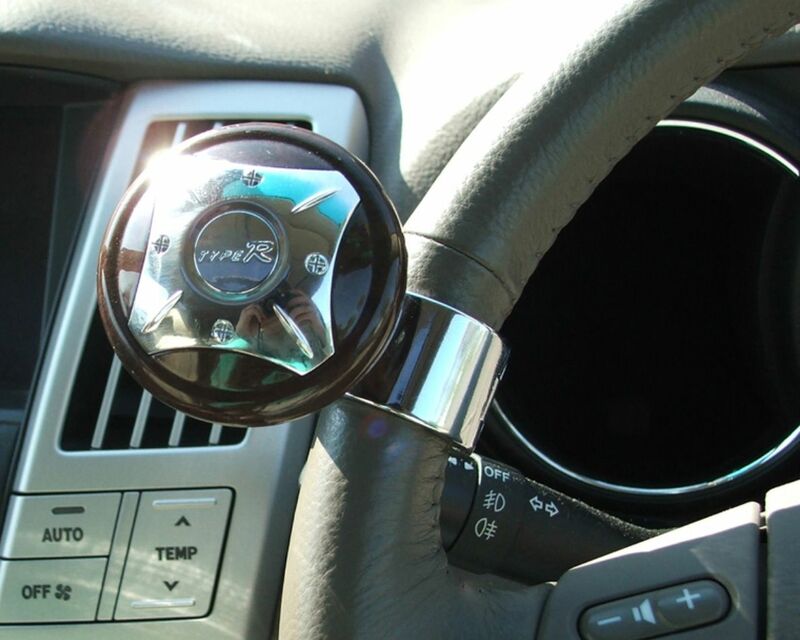 Can be transferred from car to car, by clamping easily onto steering wheel. Provides easier steering control, for increased maneuverability. Does not seem to be very universally fitting, I had to replace the threaded securing screw with a much longer Threaded Hex screw with a locking nut to be able to use it on my Honda CRV. not an ideal solution but allowed me to use it effectively. seems to be a reasonable quality but could do with more information on site to allow customers to assess if it will be compatible with their respective vehicle.